Starting a new business is not the only time an entrepreneur may look for help with financing. Some small business owners—especially those who operate seasonally—experience fluctuations in cash flow throughout the year. A line of credit can help to smooth over the ebb and flow of sales and cash flow throughout the year. A business line of credit provides on-demand funding, and there are a number of different types of lines of credit ranging from unsecured, meaning that it is not backed by any kind of assets; to secured, backed on a general basis by all assets of the company, or by specific assets that are structured into the funding formula of the line of credit. 1.) Does your business have uneven cash flow? The best use of a business line of credit is for paying off expenses in the short term that can be easily paid off in the long term. This works well for short term expenses such as payroll and inventory. 2.) Are you able to pay off the balance of your credit line? It can be tempting to carry a balance on a line of credit, but this will ultimately damage both your relationship with the lending bank and your company’s financial health. Unless you are able to pay off the balance quickly, you should not run the risk of borrowing against a line of credit, but possibly consider a term loan for long term items like buying equipment. 3.) Would a business credit card be more appropriate for your needs? A line of credit will have a lower interest rate and higher credit limit than most business credit cards. It will not, however, provide line by line tracking of expenses along with date and location of purchases. This can be very valuable for record keeping and future planning, and also allows you the flexibility to provide individual cards to key employees/staff for travel or other day to day business expenses. 4.) Are all business owners available to apply? If your business is a partnership or has multiple owners, at least 80% of the owners must be represented in the credit application. This makes applying for a line of credit a decision that must be made across all owners of your business. If you are just starting out, looking to obtain working capital for your existing business, or want to grow from your established base, Crestmark’s business development team can work with you to determine which type of financing solution is the best fit for your current business situation. In this week’s blog, Crestmark Equipment Finance explains typical end of lease purchase options available to a customer when the lease terminates at the end of his or her selected monthly term. In the equipment leasing industry, the “standard” buyout options consist of Fair Market Value (FMV) and $1 Buyout (or $1 Purchase Option) with a term ranging from 12 to 60 months. •	A Fair Market Value Buyout allows the customer to utilize the equipment for a designated number of months with end of lease options to continue to lease the equipment, return the equipment and upgrade to new equipment, or purchase the equipment at the then determined fair market value price of the equipment. A FMV lease also is known as an operating lease. •	A $1 Buyout/Purchase Option has a higher monthly payment than a FMV lease, but this lease is selected by a customer who wants to own the equipment at lease end for $1. This lease also is known as a capital lease. Most of the time, the equipment ownership is transferred from the lessor (Crestmark Equipment Finance) to the lessee (customer) unless the customer decides to return the equipment for remarketing or disposal. As stated above, the customer selects the buyout option and the length of the equipment financing term, which consists of a fixed rate monthly payment that does not fluctuate during the lease – unlike other financing options such as credit cards or bank loans. These “other” financing methods also can eat away at your operating budget. When considering an equipment leasing buyout, your business or municipality needs to consider the equipment type and its lifecycle before selecting the FMV or $1 Buyout purchase option. •	Clients typically select a FMV buyout for IT, computers, servers, software, security systems, GPS, or other technology-based equipment to avoid equipment obsolescence due to the ever-changing dynamics of today’s – and tomorrow’s – technology-based equipment. •	Clients typically select a $1 buyout for longer lasting equipment such as construction, automotive repair, material handling, tooling, cleaning equipment and pressure washers due to the longer lifecycle of these assets. As our client, Crestmark Equipment Finance will develop a competitive, fixed rate equipment financing option to match your preferred buyout option and lease term and acquire the equipment to complement your business needs without a large upfront down payment or worry of technological obsolescence. If you have an immediate interest in leasing equipment, please contact Crestmark Equipment Finance or call 888.999.8050..
As an entrepreneur, staying organized while on the go will help keep your business—and even your day—running smoothly. And while the ability to keep constantly connected to your work with a smartphone or tablet can sometimes be overwhelming, a number of business-minded apps have been developed over the past few years to make your life a little easier. Evernote: With a motto like “Remember everything,” this is going to be a top-pick for any busy entrepreneur. Evernote makes it easy to keep notes, files, and even clippings of entire webpages in one place which can then be accessed by both mobile devices and the Web. Potentially one of the best examples of this is using it for travel since you can keep all itineraries, confirmations, scanned travel documents, maps, and plans in Evernote, ready for when you need them. Pocket: How would you like to have a virtual cloud that can store anything from articles to videos, straight from your browser or apps? That’s exactly what you can do with Pocket. Formerly called “Read it Later,” Pocket can save just about anything for you to read when you’re ready. Square: A card reader, simple pricing, and smarter business tools make it easy for businesses of any size to do what they love and get paid fast and easily. Use the free secure card reader sent to you to swipe cards on-the-go from anywhere. The Square Register app is free and easy to setup – just link your bank account and you’re able to accept payments almost instantly. You have the option to pay a flat monthly fee of $275.00 or a 2.75% fee per swipe. You will see your payment quickly and directly deposited within 1-2 business days. Mint: This one is valuable for business and personal use. Named Best Finance App by the 1st Annual App Awards and TIME Magazine’s 50 Best iPhone Apps of 2011, Mint enables you to track finances in real-time. You can enter transactions manually or sync your accounts automatically to track investments, sort transactions by category, set budgets, and create alerts. FreshBooks: Speaking of finances, this cloud accounting app makes tracking time, logging expenses, and invoicing clients portable and painless. It also boasts team timesheets for projects involving more than one person’s billable time, multiple datacenters to back up secure data, and online payments so you can accept payments and put that money to work faster. As an entrepreneur or business owner, what apps make your life easier? For years, American businesses set up their manufacturing plants in foreign countries to take advantage of inexpensive labor. Recent changes to the United States economy are turning this trend around, however, and the U.S. is becoming an increasingly attractive option for manufacturing. It’s not just American companies that are returning to the U.S. for these purposes: foreign businesses are offshoring their operations to the United States, too. One major reason for the sudden upsurge in U.S. manufacturing is the boom in shale gas production, which is helping to drop energy costs across the country. This affordable fuel helps to make the U.S. an attractive option for commercial manufacturing. Many companies that chose to run their manufacturing operations in other countries are finding that it can actually be cheaper to keep those operations in the U.S. Moreover, European companies are taking advantage of cheap gas prices and an available labor pool since natural gas in the U.S. costs roughly a quarter of the European price. Although many companies point to labor costs as a good reason to outsource manufacturing jobs, the truth is that domestic operations are often the most cost-effective choice. Labor costs are rising in countries like China, where wages have grown a staggering 500 percent in the past 13 years, and are forecasted to continue to grow by 18 percent each year. Compare this to American wages, which have remained steady in certain areas over the same time period. When looking at the total cost of ownership for any operation, many businesses are discovering that the expenses of energy consumption, delivery, freight, packaging, and other production costs are actually higher when the manufacturing is completed overseas. When GE moved its production from China to Kentucky, it experienced a 20 percent decrease in expenses, and other companies are seeing similar results. This “manufacturing renaissance” is good news for businesses who can reduce their expenses and streamline their operations by keeping them on domestic soil. It’s also good news for American workers, who can begin to fill these positions, which will stimulate the economy and help increase demand for other goods and services to support the new manufacturing operations. Crestmark works as a lender to a variety of manufacturing related businesses. For details on how we may be able to provide financing for your business based on your accounts receivable, inventory and machinery/equipment, contact one of our lending experts today! Where in the US Might You Start Your Business? 1. Dallas, Texas. This fast-growing city has 6.5 million people and a number of industries to support and expand. Twenty Fortune 500 companies, including AT&T, make Dallas their home, but it’s a valuable hub for small businesses, too: Over 80% of all businesses in the city are small, and these companies employ around 40% of the city’s workforce. Dallas’ Business Assistance Center program offers resources and counseling for CEOs of businesses with five or fewer employees which could be invaluable for those entrepreneurs. 2. Denver, Colorado. With a population of more than 2.6 million, Denver is a thriving city. Its residents have eclectic tastes, with interests ranging from outdoor sports to fine arts, and this makes it easy to find a profitable niche. The city is also the second-biggest hub for aerospace industries in the country, which generates a heavy demand for related services from the private sector. Small businesses with fewer than fifty employees make up 95% of the area’s economy, and those employees are highly educated; one in three workers in Denver has a BA or higher. 3. Lincoln, Nebraska. The capital of Nebraska boasts the lowest unemployment rate in the country. With just 3.5% of the population unemployed, there are a larger-than-average number of working people with disposable income, which in turn can help feed a budding business. Prominent industries in Lincoln include medical, banking, information technology, education, call centers, insurance, and rail and truck transport. 4. Provo, Utah. This college town is supported by Brigham Young University, the third-largest private college in the country. The university serves as a backbone to the local economy as a constant stream of students require the services of a wide variety of businesses. Moreover, as those students graduate, they enter the workforce with valuable skills or start businesses of their own. Google Fiber also has a deal on the table to take over the iProvo fiber network in Provo, an announcement that will likely put Provo and its growing tech presence on the map. 5. Nashville, Tennessee. Although this city is still world-renowned for its music scene, Nashville has plenty of other things to offer. The city is a major cultural hub of the South, and tourist industries flourish there. On average, business costs are 18% lower in Nashville than in other similarly-sized cities, and the cost of living is 10.1% below the US average, making it conveniently affordable. Wherever you decide to open your new business, the key is to find your customers and deliver what they want. As long as you can dominate a niche, you can be successful anywhere. Looking for lending in your area? We have regional office locations in five states, and sales representation in locations across the country. No matter where you are located, give us a call. We can help you wherever you are. Small businesses are told to have a social media strategy to stay competitive. For the most part, they know it’s necessary; they’re just not sure where to go with it. Which social media outlets are most successful? Which platform will get your company the most publicity? How do you manage your time between the endless amounts of new social platforms being released every day? With all the other management and marketing strategies your business has going on, social media may seem like the last thing you want to add to your “to-do” list. However, it doesn’t have to be a stressful process. Develop a Plan: First and foremost, before just jumping into the social media pool, you’ll need to have a solid strategy. Don’t just start posting and commenting without a plan. Know your target audience; get a feel for who you’re trying to reach and what you’re trying to get out of using social media to reach customers. This will help you maintain credibility and relevance as a business. Test the Waters: So this is your first social campaign- maybe ever. Don’t panic! Social media is a platform that doesn’t thrive on perfection. Use trial and error to determine what engages followers. Ask questions. Don’t be afraid to learn from others and even learn from your clients! Being “new” to social media can be a great excuse to learn and gain respect from consumers who don’t expect you to know all the ropes just yet. Start Small: One of the biggest mistakes you can make in your social media endeavors is to take on more than you can handle. If this is your first ever attempt at going social, don’t create a Facebook, Twitter, LinkedIn, Pinterest, Vine, and Instagram all at once. It is always better to do one thing really well than to try and haphazardly to have your hands in everything at once. For entrepreneurs—and really anyone in a B2B industry – Linkedin is a great place to start to grow your network. Track, Track, Track: Keep a close eye on your website analytics and definitely take a few minutes to install a social media dashboard. These custom Google dashboards will not only allow you to see how many people are coming to your site from every social network (whether you have a profile on there or not), but what devices those users are coming from and how those users end up converting. Have you already gotten started with your social media efforts? Connect with Crestmark on Linkedin today! Although scientists have known about the presence of crude oil in North Dakota for decades, it wasn’t until 2008 that technology made it possible to extract oil from the rocks of Bakken shale. Now, with fracking, North Dakota is home 200 active oil rigs, and it produces around 20 million barrels of oil each month. This oil boom is a tremendous boost to the economy. While other parts of the nation have suffered through a recession, North Dakota has enjoyed the lowest unemployment rate in the country. The population of some small towns has doubled in recent years due to the influx of workers for the oil fields. The benefits of the Bakken shale oil fields have spread to other areas of the United States and Canada as well. While the huge increase in oil production is great for the economy, it would not be possible without access to working capital to support the growth. Crestmark is proud to partner with companies in the oil & gas industry to provide financing solutions to support their businesses. Capital is often needed for pipeline expansion, refineries, staffing, trucking, machinery, temporary housing and many other things. Through a variety of lending options, Crestmark is able to offer flexible financing to help continue the growth in North Dakota and throughout the United States. As the oil industry grows, it provides a trickle-down effect that strengthens the local economy as well. More workers moving to the area creates a new demand for restaurants and supermarkets, car dealerships, and many other services. All of these new businesses also require access to working capital to get up and running. 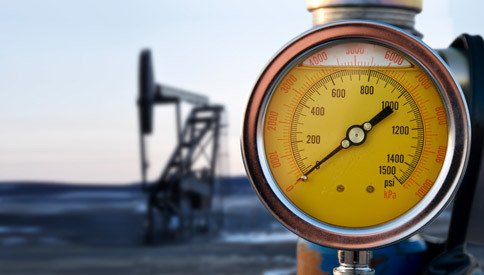 Not only is Crestmark equipped to handle to financing needs of large oil & gas companies, but we are also a strong partner to small businesses, offering SBA loans alongside our asset-based lending, accounts receivable financing, and factoring programs. To speak with a lending expert, give us a call at 888.999.8050 or fill out our online contact form. “Fast fashion” is a term used to describe the newest trend in high-fashion apparel. In order to compete with second-hand stores and bargain brands, some formerly high-price designers have begun offering large quantities of affordable, attractive clothing engineered to capture a buyer’s attention and inspire an impulse buy. In order to keep profits high, designers must release a constant stream of affordable and desirable clothing. The key to success in the fast fashion industry is creating a product that provides an irresistible temptation—it should be something customers want now. Creating this environment requires the designer to be flexible and courageous, and designers must be able to change their tactics quickly to keep up with market demand. Fashion today is an industry with a short shelf-life, and this creates a unique set of requirements for financing any fashion business. When looking for a lending institution to finance your fast fashion business, you’ll need to choose a lender with a quick turnaround and competitive rates. Your profit margin will be slim, especially in the beginning, while you focus on building a loyal customer base and establishing sourcing relationships, so keeping your costs as low as possible will enable you to maximize profitability. Moreover, a fast-paced industry, such as fashion, requires a financial partner that can respond to your needs quickly, not one that labors over decisions or credit applications. Other attractive features in a lending relationship include options for import or export financing. As your business grows, you may want to expand beyond our borders and begin marketing the product overseas, and export financing is an important tool in that process. Similarly, importing product can help keep prices down and make it easier to keep up with a competitive industry but only if you have a financial partner that both understands your trade cycle and offers competitive import financing options. Finally, finding a lender who is flexible and who can add value to your business is crucial. Any time you ship product to customers, you run the risk of not being paid. By choosing a non-recourse factor, you can reduce the credit risk to you posed by these circumstances. For any fast-moving business with uncertain profits, this is extremely important. Launching any business comes with risk, but choosing the right lending institution will help mitigate these risks and increase your chances of success.. Careful research, coupled with an understanding of your needs, will help you find the right financial fit. In choosing the right financial institution, to finance your fast paced, fashion business, you will be placing your business in the best place to succeed. When it comes to financing your business, it can be challenging to determine which type of financing is right for your particular business in your particular situation. Accounts Receivable Financing allows you to borrow money against your existing invoices – this can be a great option, but how do you know if it’s right for you? 1. Inability to Obtain Traditional Lending – To be considered for a loan, lenders evaluate the kind of risks your company takes on in order to approve your loan. New businesses can have a hard time getting quality loan rates because the risk to the bank is higher, and the lack of collateral allowance often stands in the way of being approved. However, if you find your business turned down by traditional lenders, A/R financing could be an option. 2. Quick Growth – Quick growth doesn’t seem like bad news, but if it is an unanticipated surge in sales, you may find yourself struggling to catch your breath. This unexpected growth expansion can require extra supplies for manufacturing, more staff, and often more money to pay the bills. Unfortunately these frequently occur well before your company receives income from the growth. If this is the case, you may be a good candidate for an A/R loan. 3. Expanded Offerings – Introducing a new product line, service, or other new branch of your business can be very exciting, but it also comes with a unique set of challenges. There’s often a need to invest in new equipment, personnel, or other items necessary to get this part of your business up and running. In this scenario, A/R financing may be a good option. 4. Seasonal Sales – While many businesses experience relatively stable sales throughout the year, others can be very seasonal. High demand for seasonal merchandise or expected participation in upcoming events can cause sales to skyrocket, in which case, accounts receivable financing might suit you. 5. Strong Customers – Lenders are more likely to offer accounts receivable financing to companies with paying customers whose credit is in good standing. While overdue accounts can be used as collateral, some lenders prefer to deal with customers that are less than 90 days late. Some lenders, including here at Crestmark, provide invoice collection efforts and client credit reviews as part of their services. 6. Net Payment Time – Accounts receivable financing might be right for your business if your invoices request payment within 30 or 60 days. You could be a good candidate if you only need a quick infusion of money before the payments are due to bridge the gap between accounts payable and accounts receivable. If your business is currently experiencing any/all of the items listed above, AR financing may be a great option. For additional information, and to speak with a lending expert in regards to your particular business, give us a call at 888.999.8050 or contact us through our online form. Has your business run into any of these circumstances? 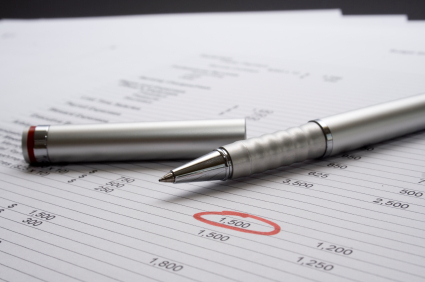 Has accounts receivable financing worked for you? 1. What is the customer profile? There’s no sense in starting a business without any customers, and the better you understand your potential market, the more likely your business is to grow and succeed. The current state of the economy makes it even more crucial to take some time to research your target audience because targeting everyone in general will be too expensive. Who are your potential competitors targeting? You might find they’re missing out on a niche market you can take advantage of once you’re in business. 2. What resources are needed? Understanding the full, up-front cost of a project is vital to ensuring its success. Consider the cost of materials, labor, advertising costs and other expenses. Will the costs outweigh the profits? If an idea isn’t financially feasible, put it on hold for a later time. 3. What is the purchasing cycle? The longer it takes for profits to reach the business, the more money must be spent up-front. Understanding your purchasing cycle beforehand will help with budgeting. Once you’ve decided to move forward with an idea, remember—whether your business will have a short cycle like most retail stores, or one that lasts for months: find ways to reach your customers at each point in the cycle. 4. What product or service is this replacing? In order to effectively sell something, a company must convince its customers to buy its products instead of something else. Determine what item customers will be willing to give up in exchange for the service offered by the new business. This will also help when the time comes to advertise the product. 5. What is a reasonable sales forecast? Determine how many sales can be reasonably expected, and compare this figure against the production cost of the item or service. For example, a restaurant owner might consider the occupancy of the restaurant, the average cost of a menu item and how many people could be expected to stop in on an average day. It might help to review competing businesses to draw estimates from their data. 6. How much growth potential is there? If you’re producing a hand-crafted item, for example, can it be mass-produced if the demand requires? Services that must be rendered by a skilled individual cannot be produced in high quantities. Leave room for growth, but establish limits early on. 7. Will the idea be viable in several years? Some business ideas seem appealing at first but would not be attractive in the long haul. Before deciding on a new enterprise, an entrepreneur needs to decide if he could be happy at that same business two, five or even 10 years down the road. Of course, a successful business needs more than a smart idea, but testing each new idea against these criteria will help to create a secure foundation for the business to grow upon.